The IPMI Insider is IPMI’s biweekly e-newsletter, providing parking, transportation, and mobility industry professionals with the latest news and information about the industry in a quick, easy-to-read email designed to keep readers up to date on all things parking and mobility—in just a few minutes. Subscribe: Login with your IPMI user account credentials here or create a new user account here. 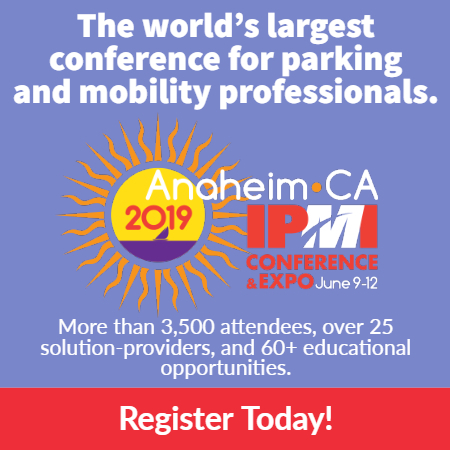 Reach thousands of parking professionals every other week with an ad in the IPMI Insider. For advertising information, contact Bonnie Watts at watts@parking-mobility.org. Moving Forward is IPMI’s monthly professional development newsletter, highlighting upcoming trainings and educational opportunities, professional development tools and advice, and IPMI’s professional development video series.